Death reports have always been of prime interest among newspapers collectors. Not that morbidity is an issue for those of us who collect, but rather newspapers of the day remain the single best document to remember the heroes, villains, famous, and infamous of the past. 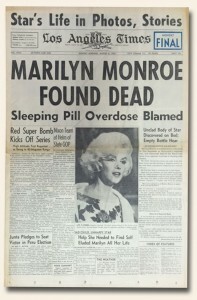 Icons of Hollywood are a particular focus among collectors and the death of Marilyn Monroe remains among the most desired newspaper reports of any from the world of television and movies. 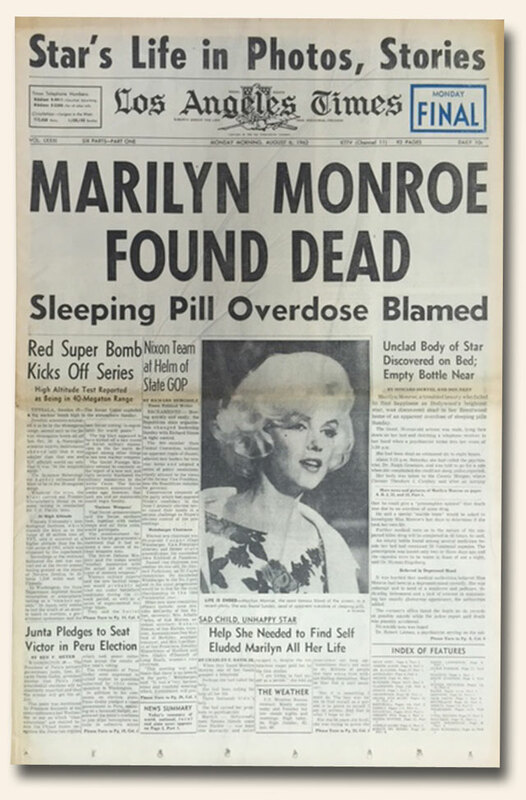 We share today the report of the death of Marilyn Monroe in the “Los Angeles Times” (August 6, 1962), the city where she died. It is difficult to image that she would have been 89 years old today had she lived.